The Taiwan Tourism Bureau will hold the inaugural Taste of Taiwan, a free food and cultural event, at Hollywood's Kodak Theater this Saturday and Sunday, September 17 and 18. The Mighty Boba Truck and The Dim Sum Truck will prepare a menu of popular Taiwanese snack foods to mark 100 years since the Republic of China broke from the Qing Dynasty. What Taiwanese items will they make? No truly challenging night market foods like stinky tofu, but expect a lineup of Taiwan's greatest hits, provided by your hosts at the Tourism Bureau. Turn the page for the menu. There's boba tea drinks, of course, invented in the central city of Taichung. Since then, drinks and the quick-serve restaurant chains that make them have taken root everywhere in the world where Asian teenagers cluster. Sweet Taiwanese sausages, a slender cured pork meatpipe, features prominently at L.A. boba shops, as does popcorn chicken. That's bite-sized pieces of buttermilk-marinated chicken dredged in potato flour and fried until crisp. Why is it called popcorn chicken and not potato chip chicken? It's a deep-fried enigma sauced with sweet soy sauce, and one best answered by the Taiwanese food experts at the event. Dim sum items like har gow, steamed shrimp dumplings wrapped in a thin rice flour skin and pan-fried radish cakes, will also be served. 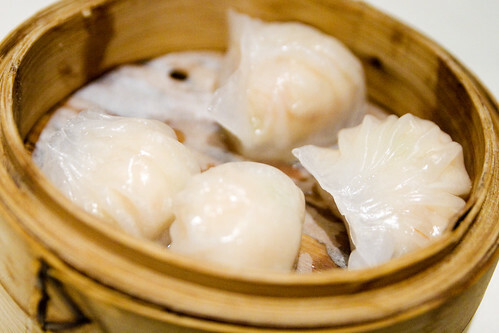 While dim sum is thought of as a Cantonese comfort food, those items are popular everywhere the Chinese diaspora brought their food treasures with them. Entertainment will include performances by The Techno Prince, an costumed dance group from Taiwan that updates centuries-old cultural dances with hip-hop, electronica and moves you might have seen at Electric Daisy Carnival. Family-friendly Taiwanese games will keep the kidlets occupied, and the grown-ups will have a chance to win free round-trip tickets and travel packages to Taiwan. Taste of Taiwan: At the Kodak Theatre, 6801 Hollywood Blvd., Hollywood; Saturday, September 17 and Sunday, September 18. 11 a.m. - 4 p.m. both days.